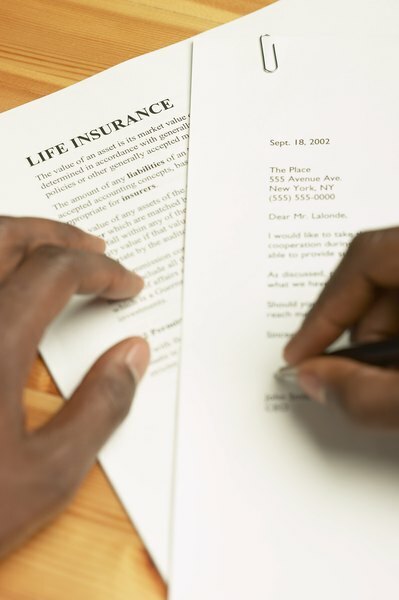 Understand the features before buying a new life insurance policy. 2. How Do Life Insurance Cost Indexes Work? Traditional permanent life insurance combines the insurance protection with a cash value component. Equity index universal life insurance is a type of permanent insurance with flexibility on the amount of premiums and a cash value which can provide stock market like gains. The details of this type of life insurance can be complicated, so get all the facts before committing to a purchase. Universal life insurance can be viewed as whole life insurance unbundled. The premiums paid into a universal life insurance policy will be divided into one part to pay for the life insurance coverage and another to go into the cash value. The idea is that the earnings on the cash value will grow faster than the increase in the cost of insurance, allowing the cash value to grow. The minimum premium amount is typically set to provide permanent insurance coverage the current interest rate assumptions. If larger than the minimum premiums are made, the cash value will grow at a faster rate, providing a savings element to the insurance policy. With equity indexed universal life, the gains credited to the cash value portion of an insurance policy are based on stock market results rather than an interest rate set by the life insurance company. With regular insurance policies, the interest rates are determined from the rate earned by the insurance companies portfolio of bonds. Historically, the average annual return from the stock market has been higher than from bonds. Using an equity index to determine the cash value gains of a life policy could result in significantly better cash value growth. An equity indexed life policy only participates in gains from the stock market and if the market goes down, there will be no losses to the cash value. The insurance policy will have a guaranteed minimum earning rate such as 1 percent if the stock market is flat or goes down. On the high side, the equity index policy will have a cap on participation in the annual stock market gains. One way to cap is a hard cap such as 12 percent. If the market goes up 20 percent, the life policy will earn just the 12 percent cap. Another option is to earn a portion of the stock market gains for the year, such as 70 or 80 percent of the market results. The specifics of how an equity index universal life insurance policy will work is spelled out in the insurance contract. The life insurance agent can provide value projections based on different average returns from the specific stock market index used by the insurance company. Have the agent explain in detail the potential and worst possible outcome for the policy. This type of policy has a significant savings element, so a plan to pay larger than necessary premiums will pay off in the long run if the stock market has some good years along the way. Equity Index Universal Life Insurance: Revealing Its Hidden Advantages In Volatile Markets; James L. Slayden et al.